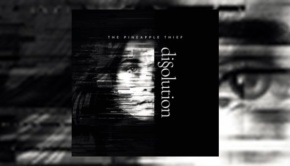 The Pineapple Thief are a band that I have dabbled with over the years without giving their catalogue the attention it deserves, despite being drawn to Bruce Soord’s work many moons ago via a Cyclops Records sampler featuring tracks from his previous band Vulgar Unicorn. 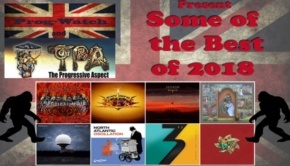 2016’s Your Wilderness album was something of a game changer, the introduction of Gavin Harrison – one of my favourite drummers – into the line-up giving my interest in the band’s music a major boost. 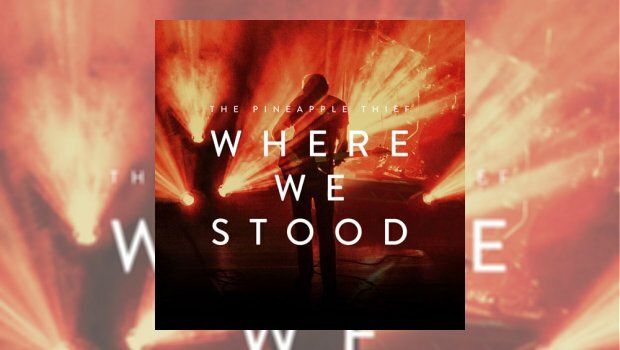 Recorded at the Islington Assembly Halls in February 2017, Where We Stood captures the current Pineapple Thief live line-up, featuring King Crimson and ex-Porcupine Tree man Harrison and Godsticks guitar maestro Darran Charles, in all its glory. Understandably focusing on tracks from Your Wilderness, upon which both Harrison and Charles played, 15 cameras were used to capture the final date of the tour in front of an enthusiastic sell-out crowd. 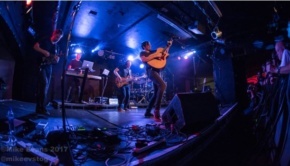 With the frontline of Darran, Bruce and bassist Jon Sykes, with Steve Kitch’s keyboards and Gavin on risers behind, the traditional stage of the Assembly Hall enables the band to be framed beautifully, enhanced with sympathetic and astute lighting. From the off the band look comfortable, Bruce playing acoustic initially, the additional meat thrown in by Darran and Gavin’s deft contributions kicking it all up a notch. The camerawork picks up all the intricacies of the presentation, with some fantastic positioning and organic movement to accentuate the quality of the performances. The sound is also pristine and this is immediately an engaging live capture. I’m not going to go into great detail about the show itself as this was covered in TPA’s review at the time, which you can read HERE). The Your Wilderness material comes over much as you would expect, but it is the earlier songs, like The One You Left To Die and Simple As That from Magnolia, Part Zero, Show A Little Love and Nothing At Best, which really benefit from the increased intensity of the current band, also Snowdrops, the lighting underlining the intimate nature of the venue and highlighting the obligatory section of audience participation. Throughout though, it is the quality of Bruce Soord’s songs which shines through, this line-up giving them the polish that they deserve. The instrumental passages are given a sharp kick in the nether regions with the added firepower and you get the impression that this is what Bruce wanted TPT to sound like all along. It’s professional without being clinical and there’s a real affinity for the music which has evolved as a result of these reinterpretations without straying too far from the originals. Having Gavin on board is a real coup, as anyone who has seen him play will attest, particularly his recent work leading King Crimson’s barnstorming triple drummer frontline. His skills, technique and knowledge of his art are undeniable, and the same can be said for Darran, an exemplary technician with a unique instrumental voice, but this is far from being all about the additional talent, the core TPT members more than pulling their weight with the band working as a cohesive whole. 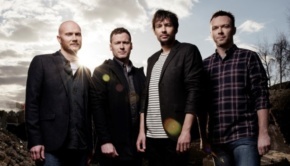 Every now and then between the songs we cut to brief interview snippets with Bruce, Jon and Steve where they reminisce about the beginnings of TPT, Darran appearing to explain how he got involved, and Bruce’s thoughts on the Islington show, their biggest headlining gig to date. This will for some be a disappointment I’m sure as it could be seen as breaking up the flow of the performance, however I think it works well, putting the concert footage in context and adding to the variety, although how many repeat plays before you’ll be skipping through the interview segments to get back to the music…? The Deluxe version is crammed full of all kinds of extras (see below) making for what Soord believes to be “without doubt the definitive Your Wilderness release”. Included is a behind the scenes tour documentary, a concise and enjoyable record that takes in the excited anticipation of the fans, the obvious camaraderie within the band (despite Darran’s assertion that it’s all built on “hatred and spite”!) and the family feel with the crew who describe some of the issues involved in putting on a tour of this nature. As expected, the quality with which it is all put together makes for a highly professional document. And is that a fleeting glimpse of TPA’s very own Leo Trimming right at the end, poised to record his thoughts on the show he is witnessing? Overall it’s a classy performance by a band that have truly taken it to the next level and, if it hadn’t been delayed until after the event, Where We Stood would be a worthy appetiser for the current run of shows with this line-up happening across Europe in Germany, Poland, Czech Republic and the Netherlands, culminating in two shows in the U.K., in London and Bristol.